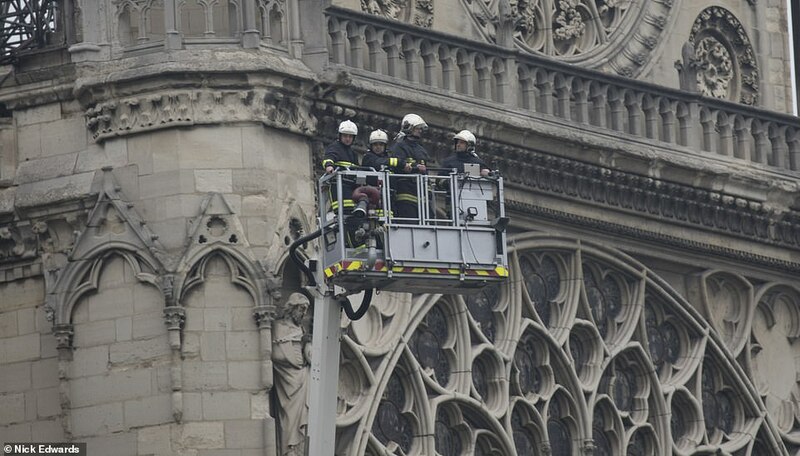 The blaze began at around 6.50pm but workers would reportedly have downed tools between 5pm and 5.30pm. 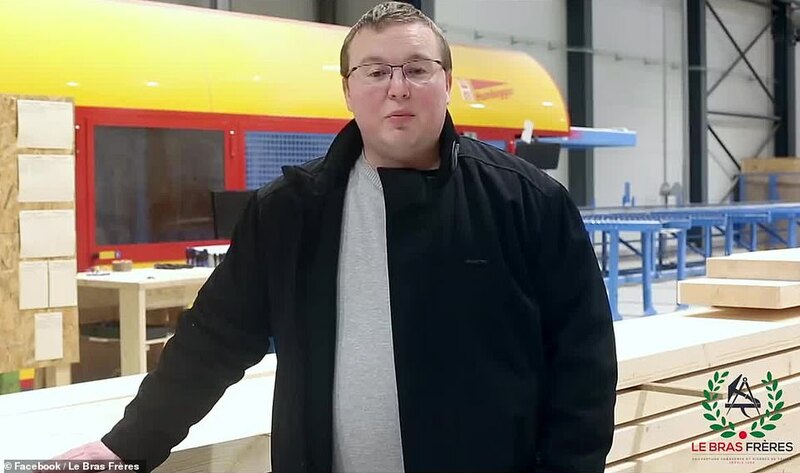 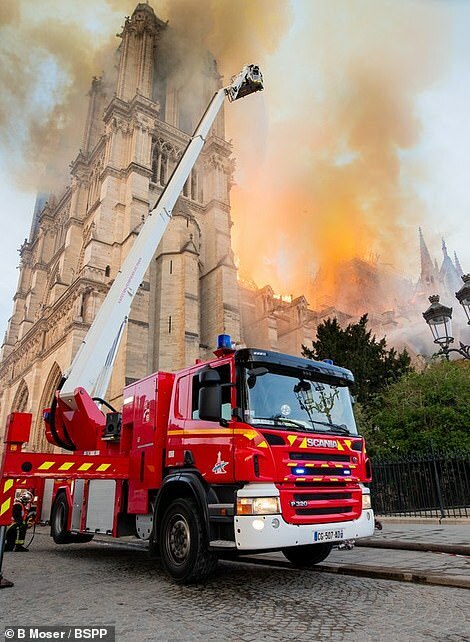 Established in 1954 by Louis Le Bras, the current CEO’s grandfather, Le Bras Freres, which is based in Jarny, Lorraine, in the east of France and employs 200 craftsmen, has been trusted to renovate some of France’s most historic buildings. 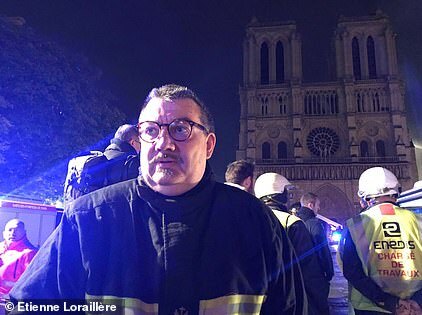 The firm boasts that it is proud to employ French workers and has refused to take on ‘low-cost’ staff from abroad. 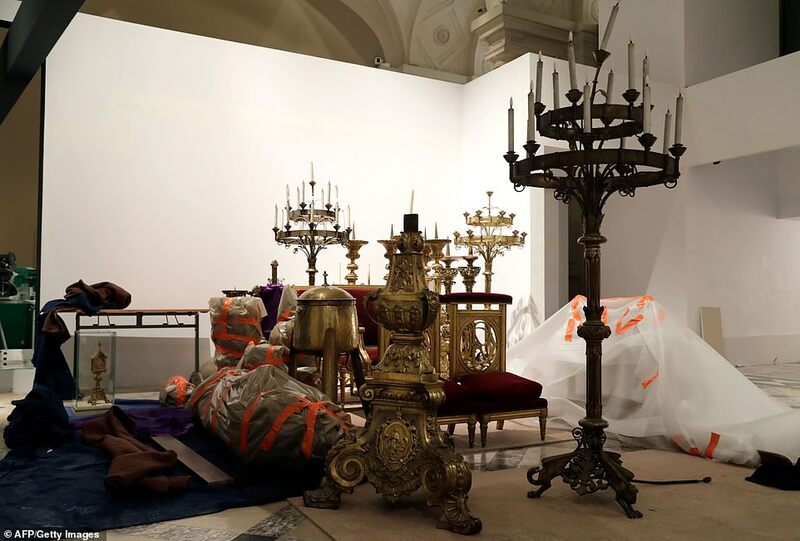 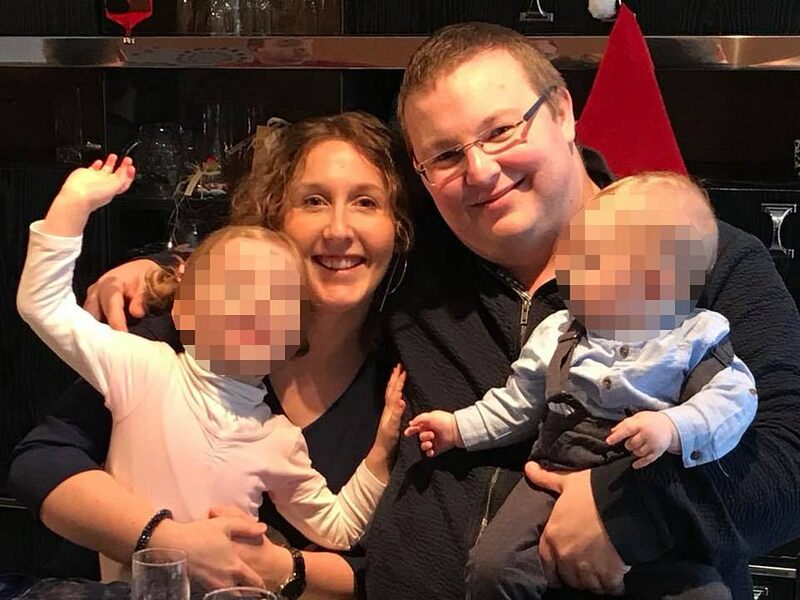 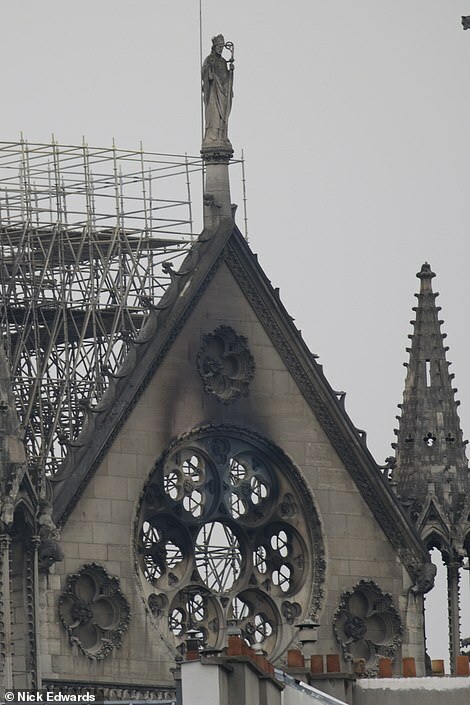 Detectives investigating the catastrophic blaze are today interviewing specialist restorers from Julien Le Bras’ company. 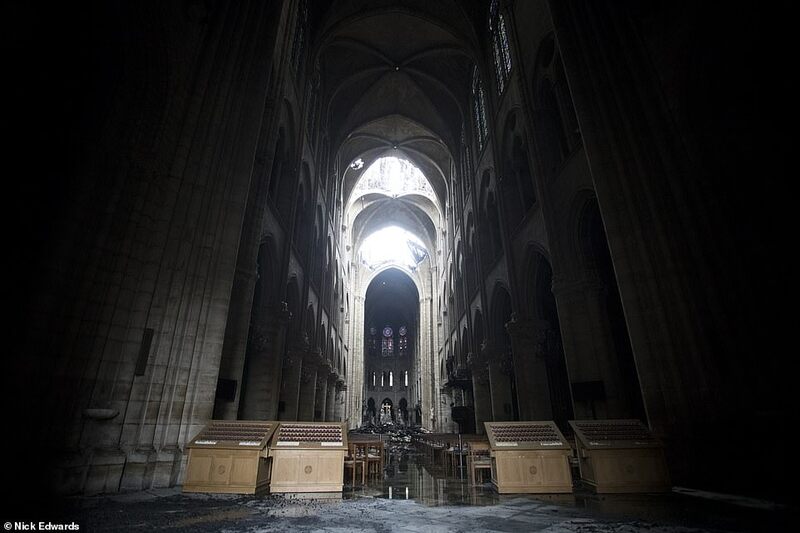 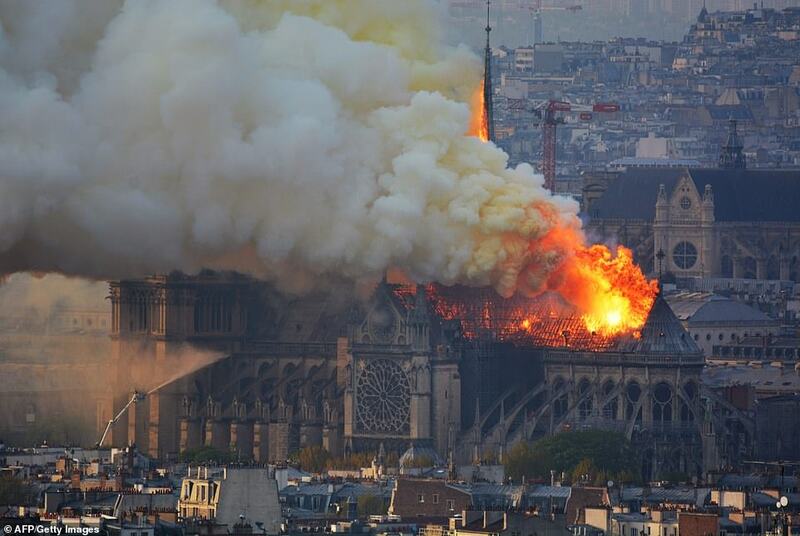 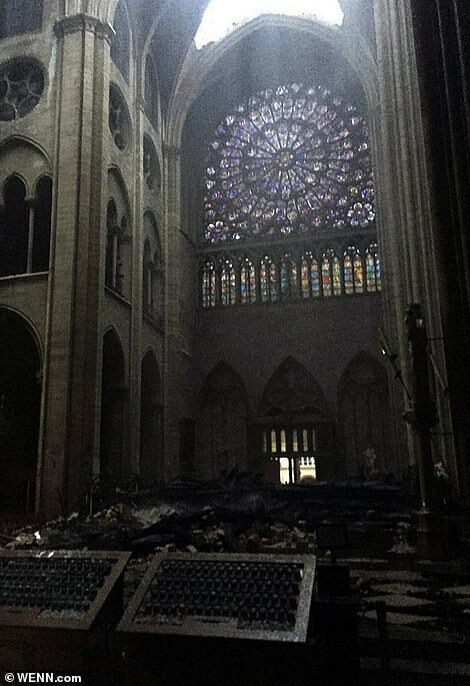 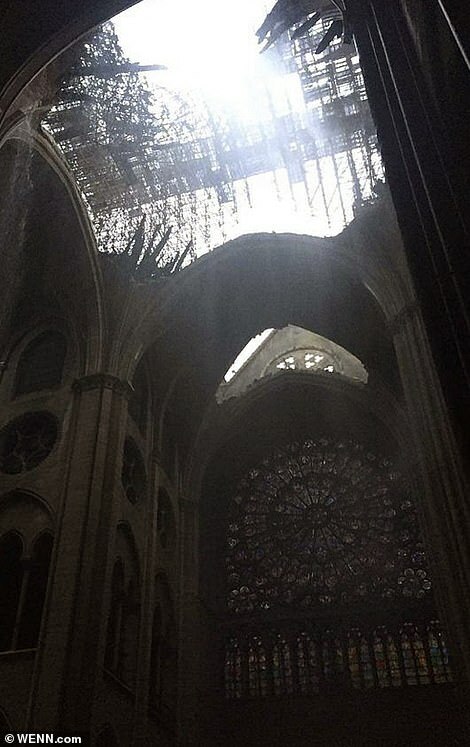 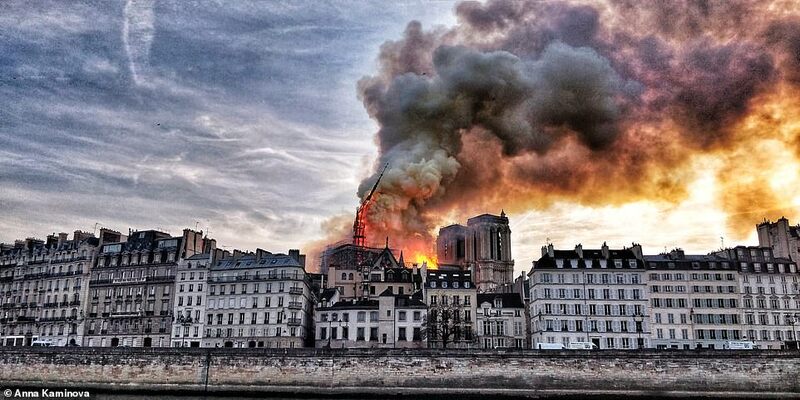 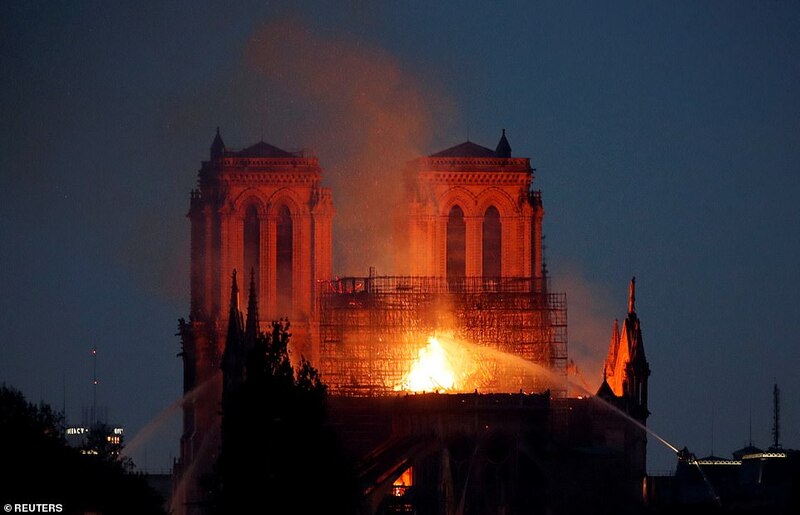 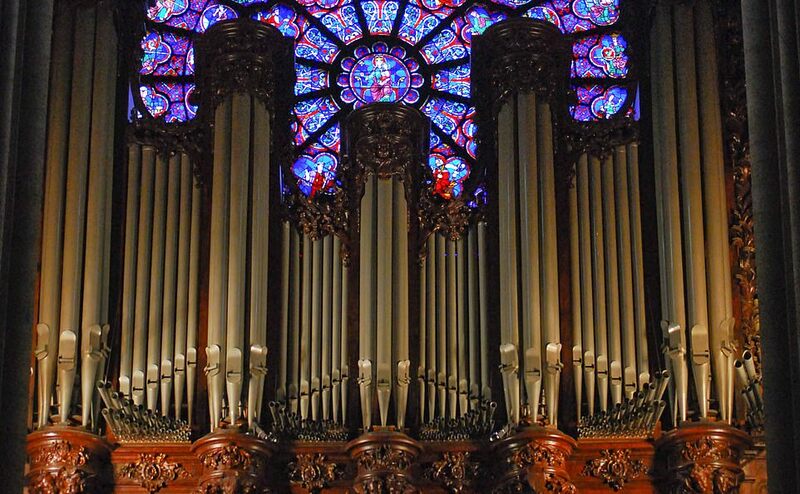 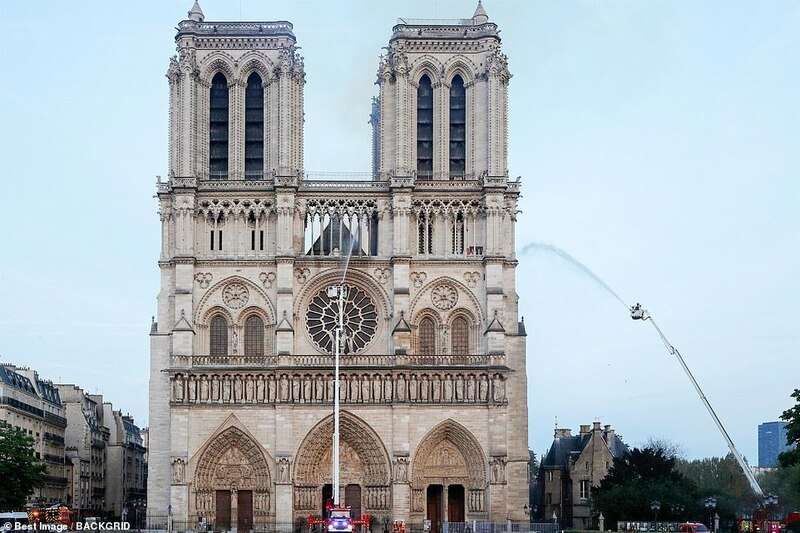 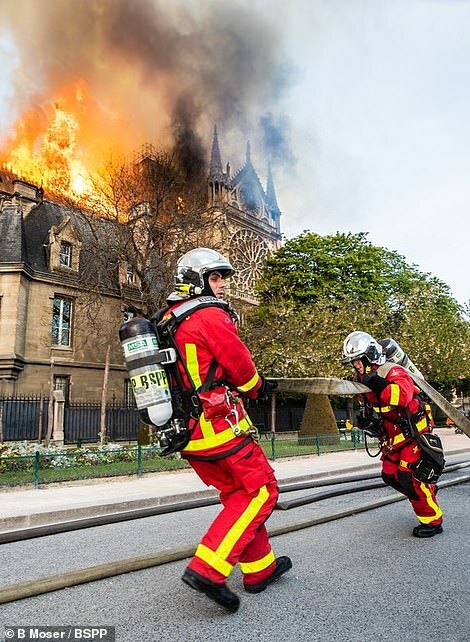 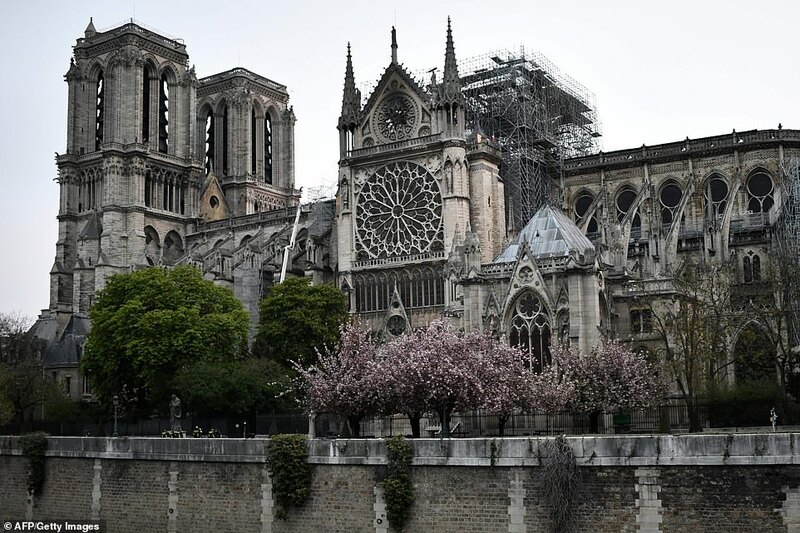 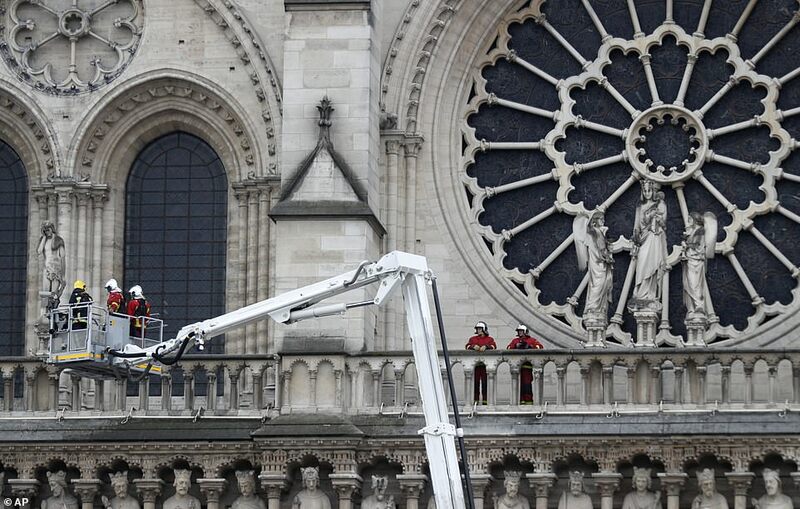 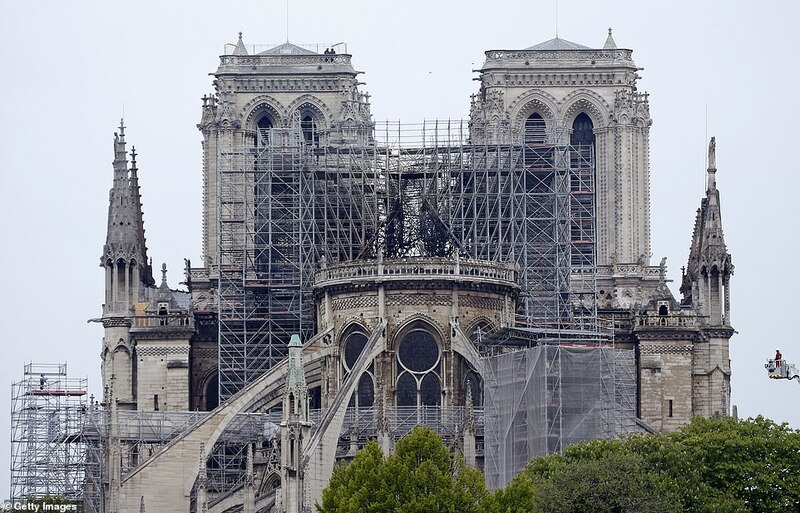 ‘I hope the Notre Dame cathedral may once again become, thanks to reconstruction work and the mobilization of all, a jewel in the heart of the city,’ Francis said in a statement issued by the Vatican. 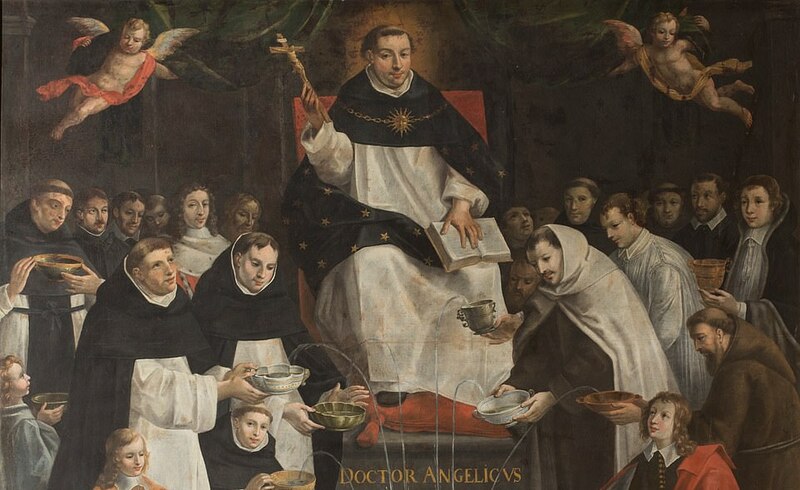 A painting titled Saint Thomas Aquinas – Fountain of Wisdom – is believed to date from 1648. 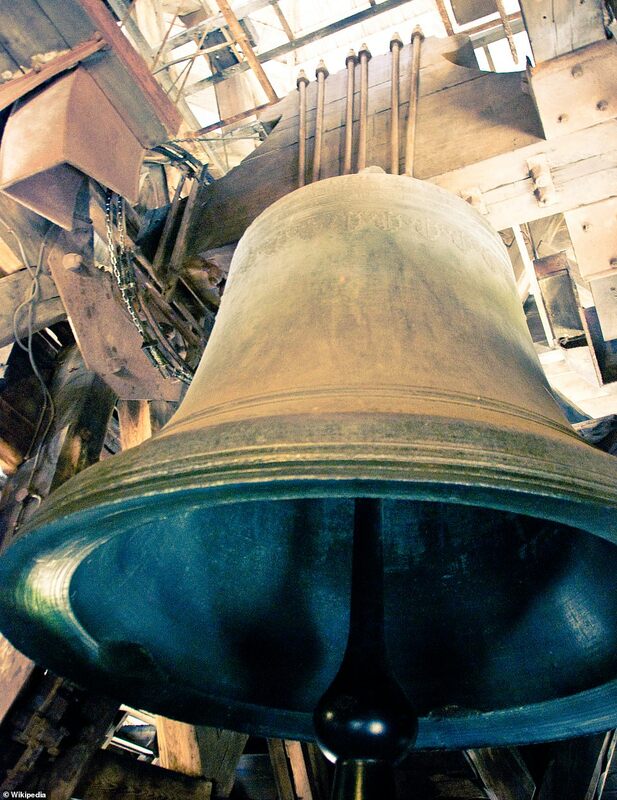 Emmanuel, the largest bell, was lifted into the south tower in 1685 and weighs over 23 tonnes. 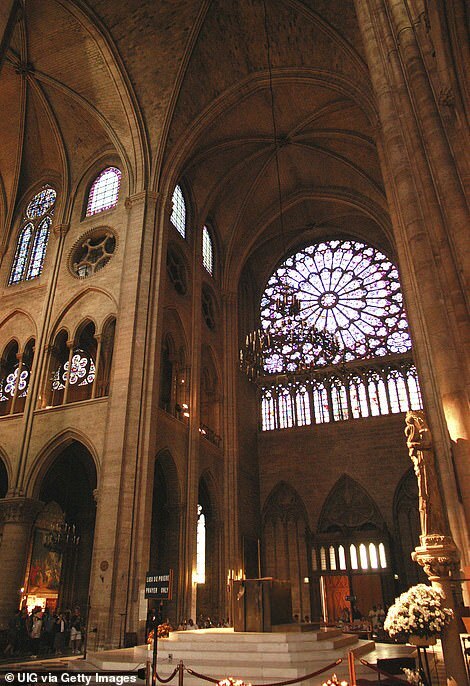 Victor Hugo’s Hunchback of Notre Dame, Quasimodo, was the cathedral’s bell-ringer. 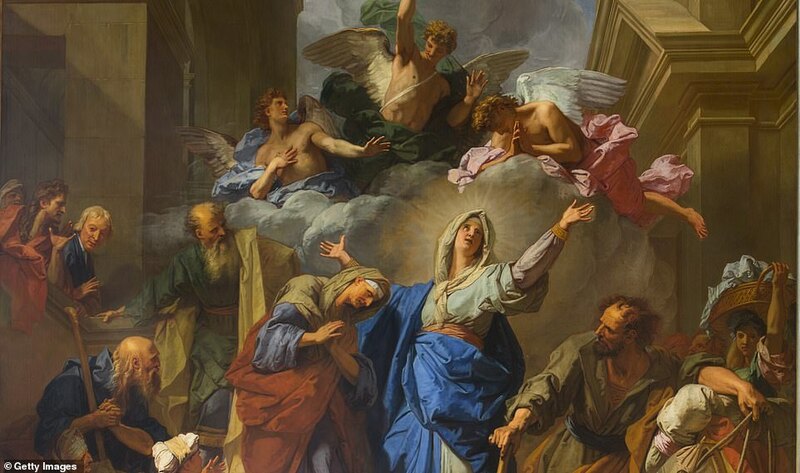 Jean Jouvenet’s 1716 painting shows the Virgin Mary raising her head and arms towards Heaven, with her relative Elizabeth nearby. 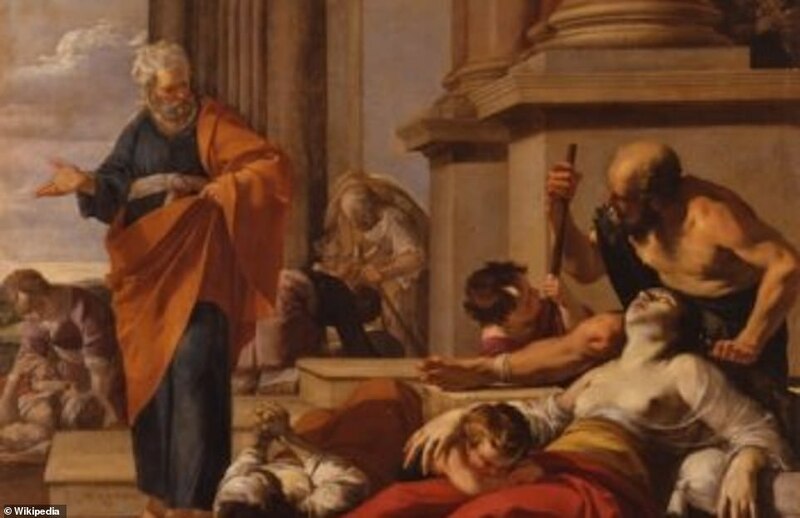 Jean Jouvenet’s 1716 painting shows the Virgin Mary raising her head and arms towards Heavan, with her relative Elizabeth nearby. 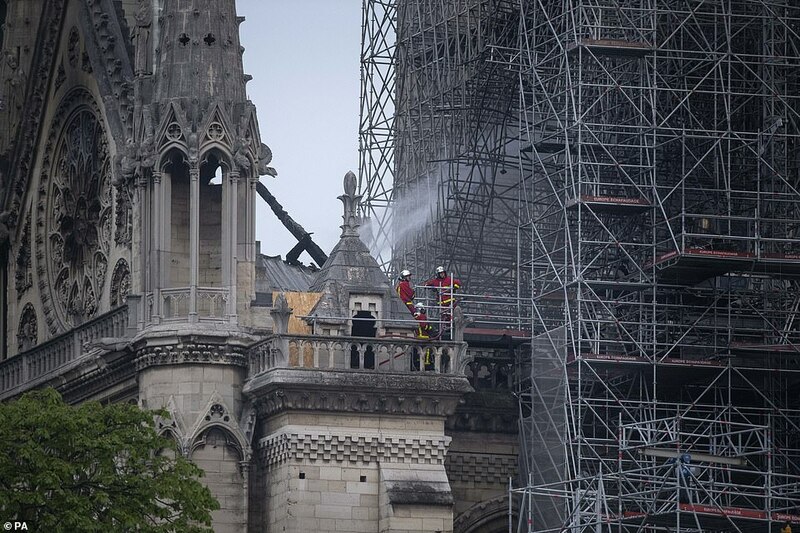 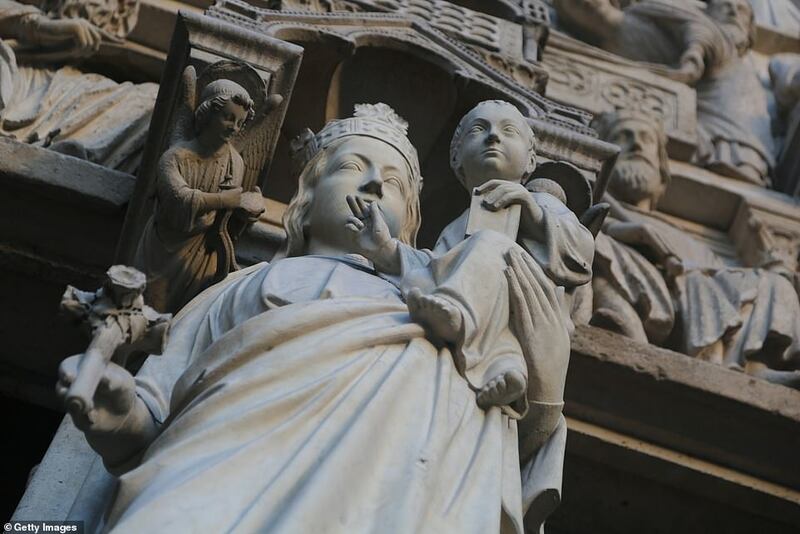 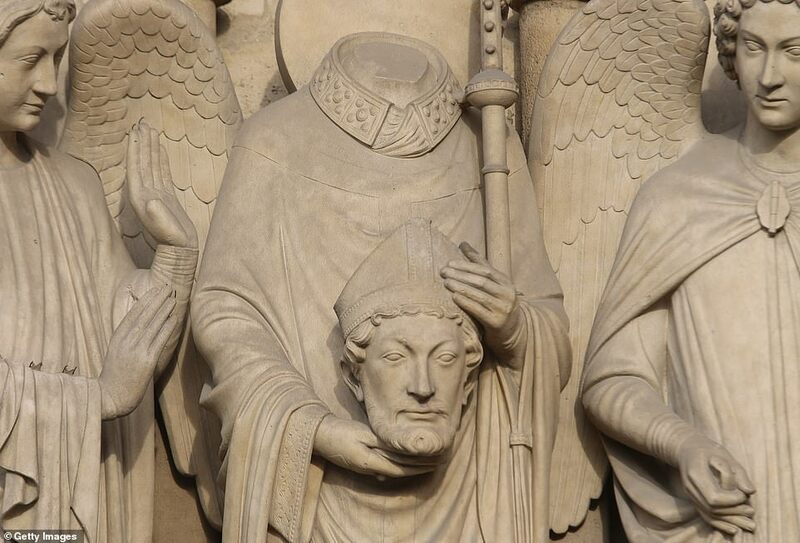 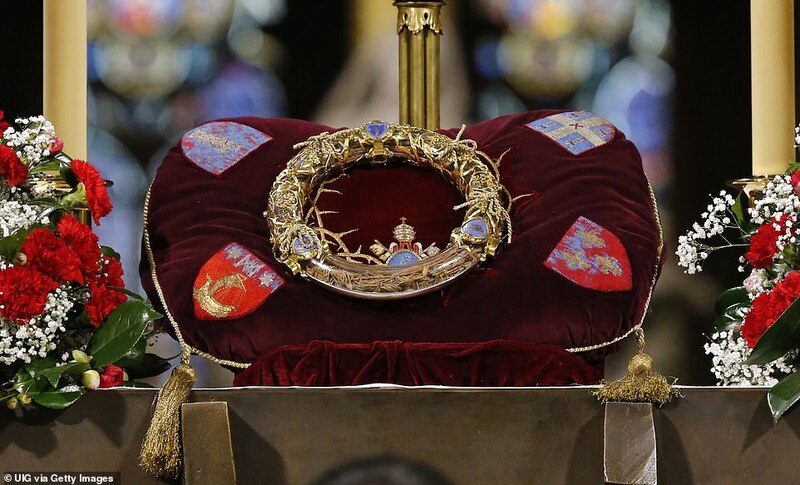 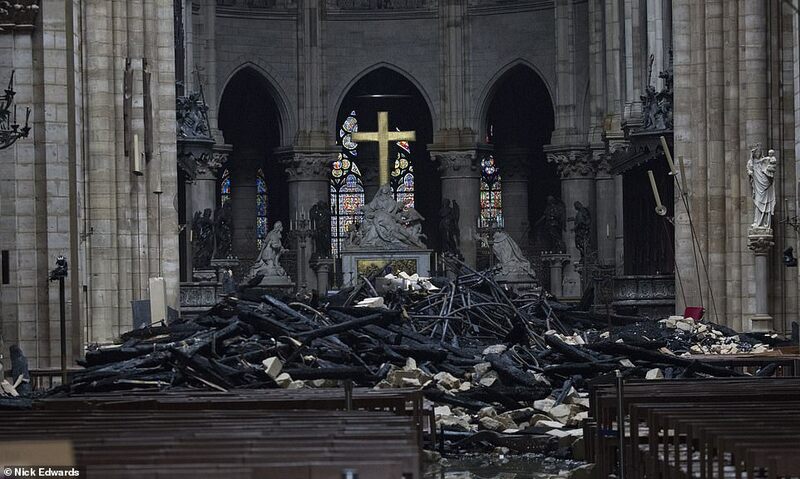 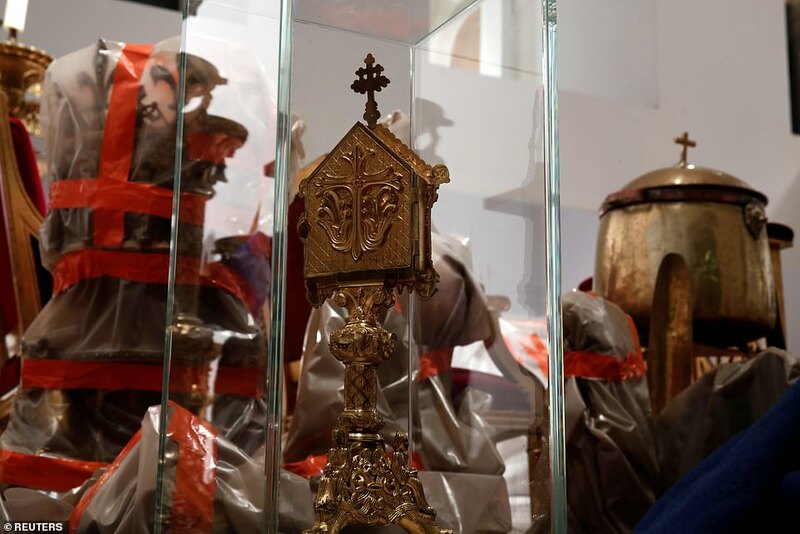 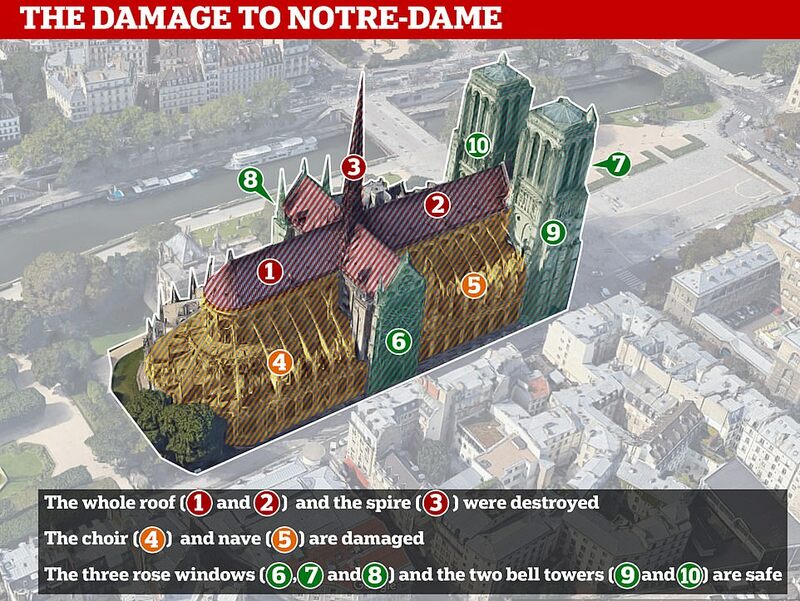 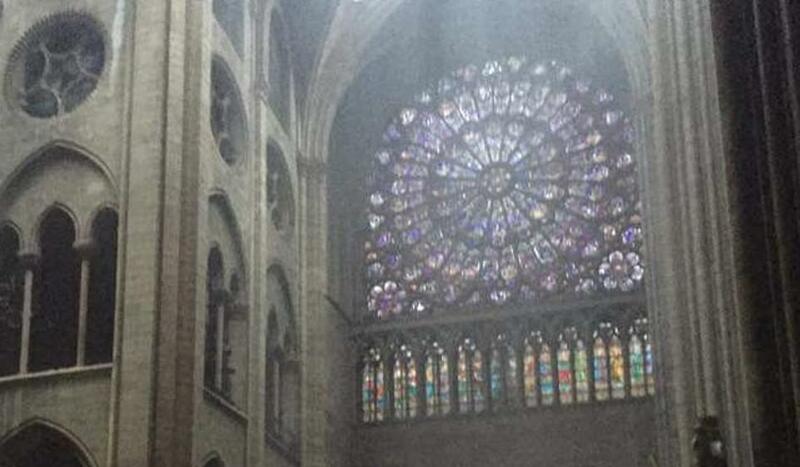 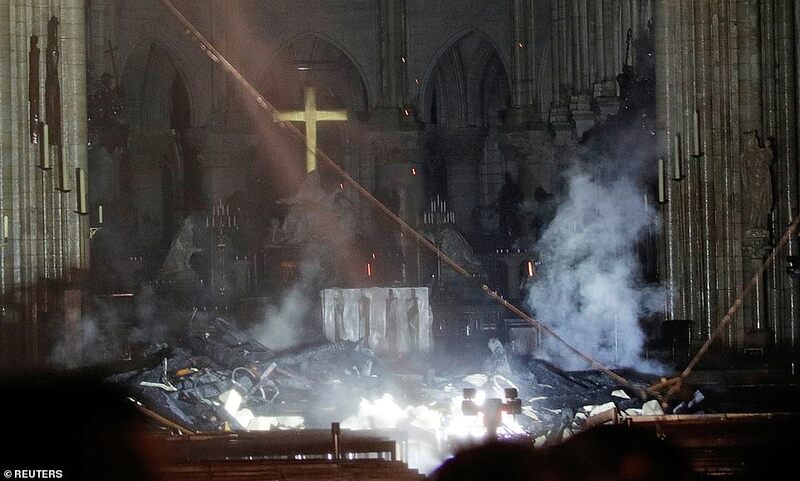 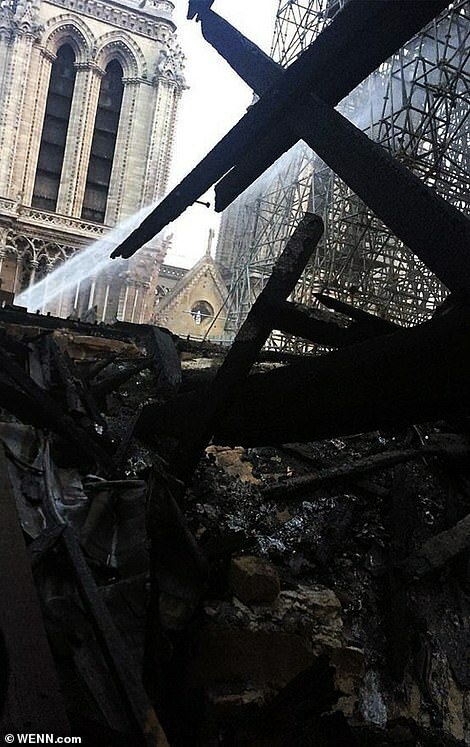 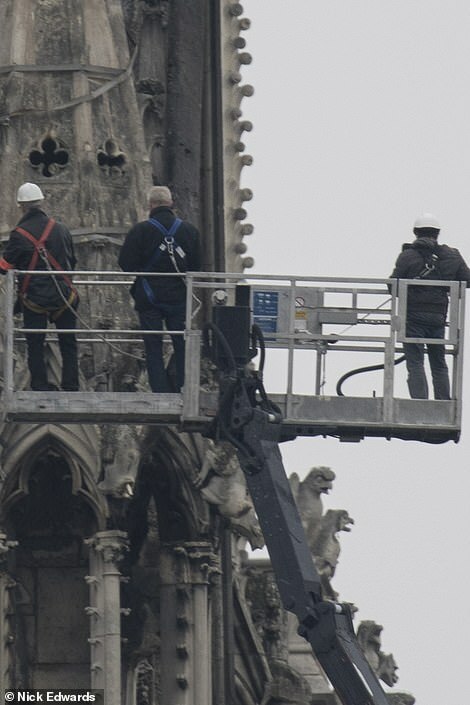 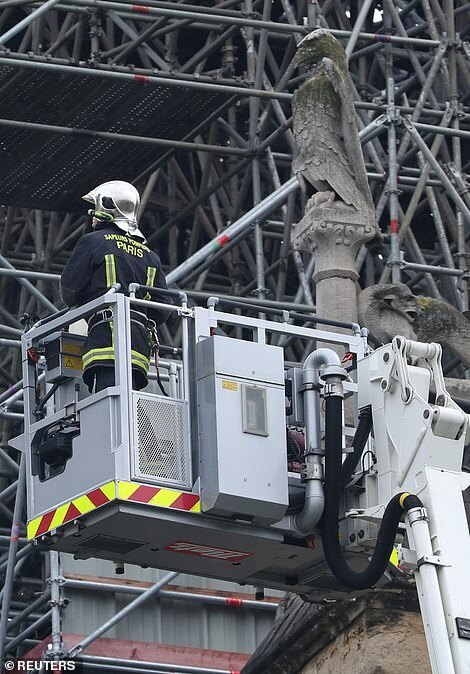 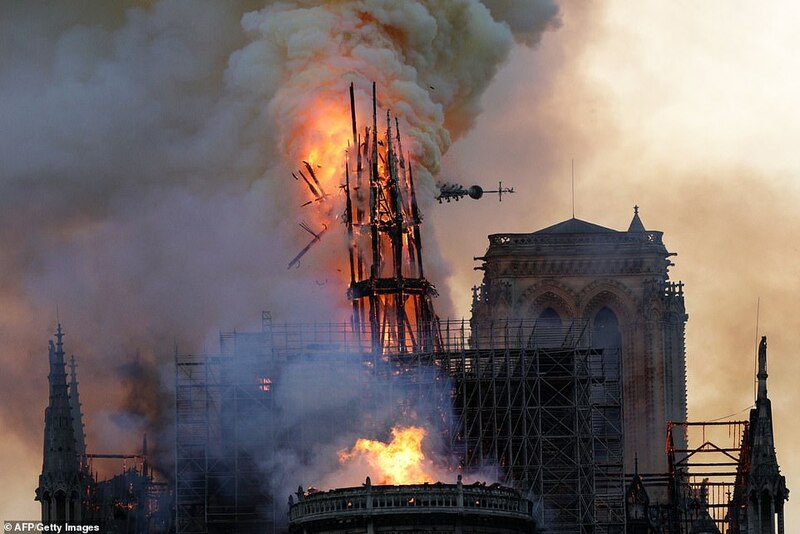 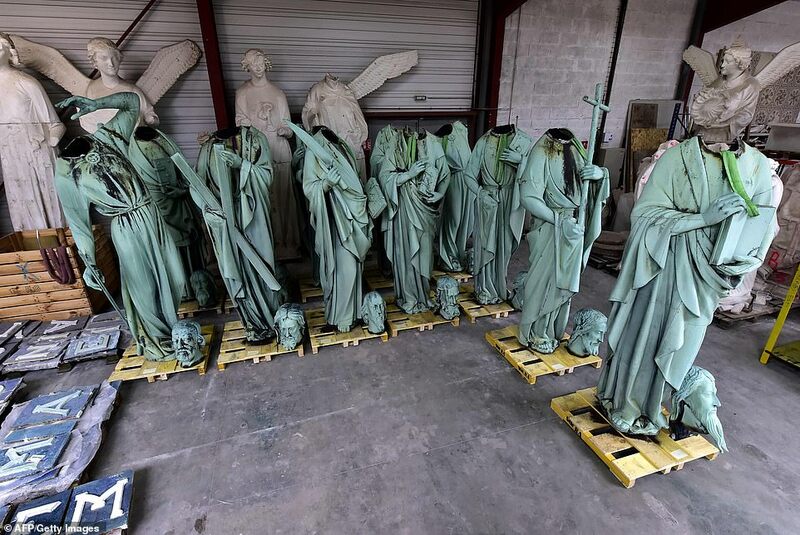 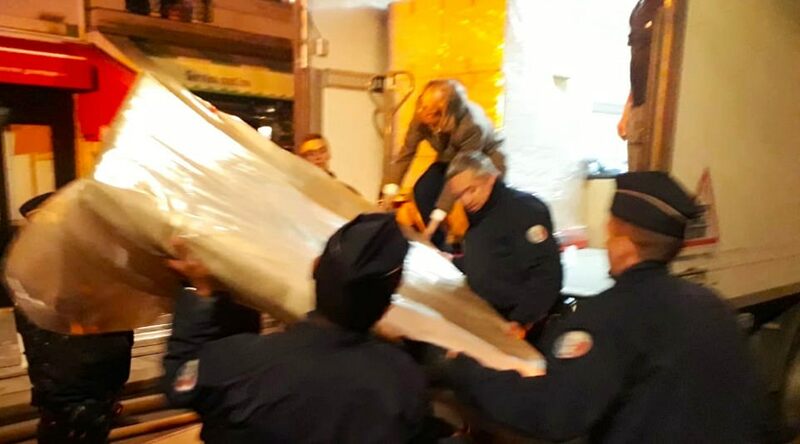 Relics of St Denis – the patron saint of Paris – and the fifth-century St Genevieve were also in the spire which burned and collapsed yesterday. 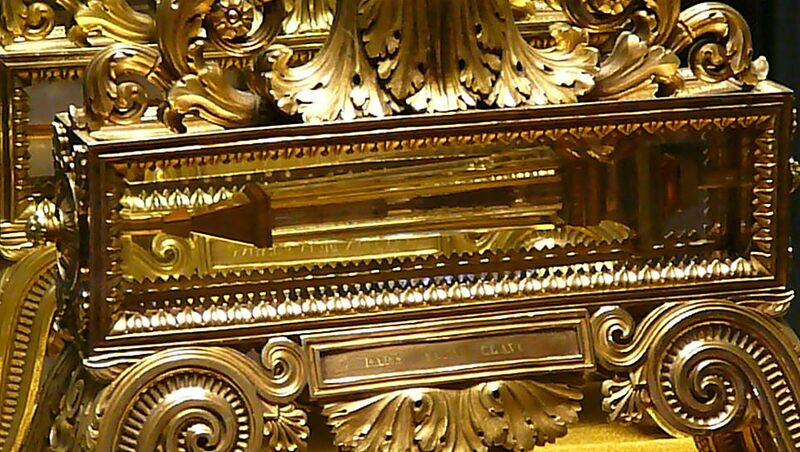 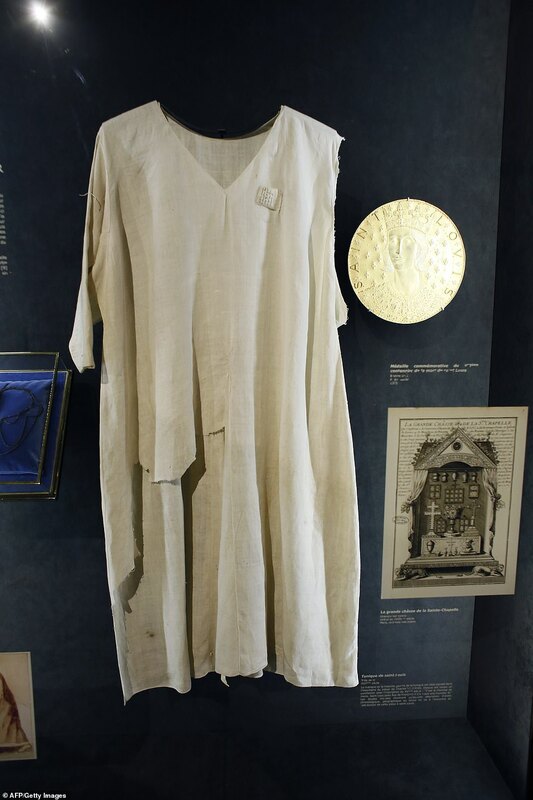 The French nun – also known as the Little Flower of Jesus – lived in the 19th century and was described by Pope Pius X as ‘the greatest saint of modern times’.